As of January 1, 2019, South Africa's first-ever national minimum wage is in effect. Fin24 unpacks everything you need to know about it. The legislation stipulates a minimum national rate of R20 per hour, or R3 500 per month, depending on the number of hours worked. The R20 an hour rate will be phased in slowly in the agriculture and domestic work sectors, with workers earning R18 and R15 per hour respectively. When did it become law? In February 2017, stakeholders in government, labour and business, represented in the National Economic Development and Labour Council, first signed the national minimum wage agreement. The bill was approved by Cabinet later in 2017. The National Assembly and the National Council of Provinces both passed the bill in late May 2018, along with the related legislation the Basic Conditions of Employment Amendment Bill and the Labour Relations Amendment Bill. President Cyril Ramaphosa signed the bill into law November 2018. In early December, at a ceremony held in Kliptown, Soweto, he announced that it would come into effect on January 1, 2019. The location was chosen in a nod to the Freedom Charter, which was adopted there in 1955 and called for a minimum wage. Whose idea was it to have a national minimum wage? A unified national minimum wage, which spans all economic sectors, has been more than four years in the making. It followed the signing of the Ekurhuleni Declaration by business, government, labour and civil society, represented at the National Economic Development Council, in November 2014. Organised labour have been calling for a national minimum wage since at least 1994. In August 1997 trade union federation Cosatu, for example, proposed to lobby for a national minimum wage, in part to "prevent the re-emergence of apartheid-type employment strategies". Does everyone support the national minimum wage? 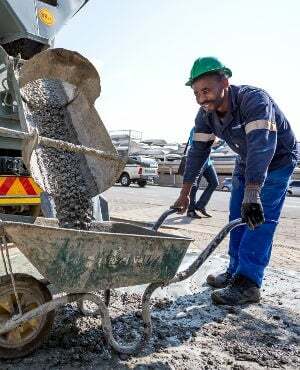 Cosatu and the Federation of Unions of South Africa have supported the wage, saying it is expected to benefit over six million workers earning less than the prescribed level. Cosatu president Zingiswa Losi said in early December that half the nation would benefit from the minimum wage directly, as 47% of the workforce currently earns below the threshold. She also said it would act as a stimulus for the economy. Tanya Cohen, the CEO of Business Unity SA, speaking at the same event as Losi, said ratings agencies want to see a stable labour market in the country and the minimum wage would be credit positive. She added that the design of the wage took into account affordability and the phasing in of the wage threshold for domestic workers and farmworkers. "In the end, we did manage to find a sweet spot, between what is socially acceptable and economically efficient," she said. The South African Federation of Trade Unions (Saftu) has criticised the wage for not being a living wage, and has held a national protest, challenging the president to try and live on it. Some economists. meanwhile, have warned it may depress SA's already high unemployment rate further by making it more expensive to hire workers. What does the president say? At a Worker's Day rally in 2018, Ramaphosa called the wage a "great victory", He said the wage would provide a "firm and unassailable" foundation from which to build towards a living wage. "A wage increase of that size and that extent is unprecedented in our history, and we must celebrate it. "The national minimum wage is like a great hill that we have climbed, but we dare not linger, because there are still many more hills to climb," he said at the time. In his New Year's message, a day before the wage came into effect, Ramaphosa described it as a "powerful demonstration of shared resolve of all social partners to tackle poverty and inequality".